Q.: MR. BLAKE, IF I’M RIGHT, I THINK WE FINISHED AT LUNCH AND YOU HAD DESCRIBED HOW BARBARA WAS SITTING ON YOUR LAP, SOMETHING LIKE THAT. A.: YES. AT ONE POINT IN THE NIGHT. Q.: YOU ENJOYED THAT, DIDN’T YOU? Q.: IN FACT, YOU GAVE HER A BUSINESS CARD, DIDN’T YOU? Q.: ‘CAUSE YOU WANTED TO MEET UP WITH HER LATER. A.: WHENEVER SHE MAY HAVE CALLED MAYBE. Q.: ALL RIGHT. SO YOU WERE NOT OFFENDED BY THAT BEHAVIOR. Q.: YOU WERE RECEPTIVE TO IT. Q.: WHEN THE VAN DAMS LEFT OR BRENDA VAN DAM AND HER FRIENDS LEFT, WERE YOU STILL THERE? A.: I WAS THERE ‘TIL CLOSING. Q.: DID YOU SEE THE VAN DAMS LEAVE? MR. FELDMAN: SORRY. OBJECTION. MISSTATES THE EVIDENCE. VAN DAMS. Q.: DID YOU SEE BRENDA VAN DAM AND HER FRIENDS LEAVE? A.: I DON’T RECALL. I HAD TWO PEOPLE THAT WERE DRINKING I WAS TAKING CARE OF. Q.: DO YOU RECALL WHETHER OR NOT ANYONE FOLLOWED THEM TO THE CAR? MR. BOYCE: ASKED AND ANSWERED, YOUR HONOR. THE WITNESS: I WAS INSIDE, SO I WOULDN’T BE ABLE TO SEE THAT. Q.: AND IN SPITE OF EVERYTHING THAT WAS GOING ON IN DAD’S THAT EVENING, DID YOU FOLLOW THE VAN DAMS — BRENDA VAN DAM AND HER FRIENDS HOME? Q.: WHERE DID YOU GO? A.: I TOOK KEVIN FERRELL HOME AND ANOTHER LADY THAT WAS WITH ME. Q.: SO IN SPITE OF EVERYTHING THAT WAS GOING ON IN DAD’S, YOU WERE NOT ENTICED TO FOLLOW THE VAN DAM — OR BRENDA VAN DAM AND HER FRIENDS HOME? A.: NO. I HAD PROMISED LINDA FERRELL, KEVIN’S WIFE, THAT I WOULD GET HIM HOME SAFELY, SO THAT WAS MY JOB THAT EVENING. Q.: AND THAT’S WHAT YOU DID. Q.: DID YOU CONTACT THE POLICE? SIR, DID YOU CONTACT THE POLICE? Q.: AT ANY TIME CONCERNING THIS CASE. Q.: YOU JUST TOLD MR. DUSEK YOU GAVE BARBARA YOUR BUSINESS CARD. Q.: DID MR. COOKSEY, THE DISTRICT ATTORNEY INVESTIGATOR, TELL YOU THAT HE GOT ON TO YOU, HE GOT YOUR NAME AS A RESULT OF THAT BUSINESS CARD? THE COURT: AT THIS POINT SUSTAINED. Q.: DID MR. COOKSEY EVER SHOW YOU THAT BUSINESS CARD? A.: NO, NOT THAT I RECALL. Q.: DID MR. COOKSEY, HE WAS THE ONE THAT INITIATED THE CONTACT WITH YOU, DIDN’T HE? MR. DUSEK: OBJECTION. WHICH CONTACT? Q.: MR. BLAKE, YOU’RE DOING YOUR BEST TO BE JUST A FAIR AND HONEST CITIZEN, RIGHT? Q.: YOU COME HERE, YOU ARE TELLING THE TRUTH AS BEST YOU CAN RECOLLECT IT, RIGHT? Q.: YOU GOT SUBPOENAED BY THE DEFENSE, DIDN’T YOU? Q.: YOU GOT SUBPOENAED, AND WE SHOWED YOU THE STATEMENT YOU MADE TO MR. COOKSEY, RIGHT? A.: I WAS SHOWN ALL THREE STATEMENTS TO THE POLICE AND THE DISTRICT ATTORNEY AND THE DEFENSE, YES. Q.: BUT BEFORE YOU MADE ANY STATEMENTS TO THE DEFENSE, YOU WERE PROVIDED WITH OR AT LEAST IT WAS DISCUSSED WITH YOU THE STATEMENT THAT YOU HAD MADE TO MR. COOKSEY, IS THAT RIGHT? A.: YES. I HAD A STATEMENT FROM HIM. Q.: AND IT WAS TO MR. COOKSEY THAT YOU FIRST TALKED ABOUT MR. WESTERFIELD AND MS. VAN DAM BEING HUGGY-HUGGY, RIGHT? Q.: NOW, YOU WERE ASKED Q.: UESTIONS ABOUT RED EYES AND KEITH STONE AND RICH BRADY. DID YOU SEE THEM SMOKING MARIJUANA WITH BRENDA VAN DAM AND BARBARA EASTON AND DENISE KEMAL OUTSIDE IN THE PARKING LOT? DID YOU SEE THAT? Q.: WITH REGARD TO TESTIMONY, HAVE YOU LISTENED OR SEEN ANY OF THE TESTIMONY IN THIS CASE? A.: BEFORE I WAS SUBPOENAED I DID SEE THE PRELIMINARY HEARING AND SOME OF THE OTHER STUFF. Q.: DID YOU HEAR ANYTHING ABOUT ANY OF THE TESTIMONY OF EITHER BRADY OR KEMAL OR BRENDA VAN DAM OR RICH STONE ADMITTING THAT THEY HAD SMOKED MARIJUANA? Q.: THE REASON YOU TOLD US IN COURT TODAY THAT THEY SMOKED MARIJUANA IS BECAUSE THAT WAS YOUR RECOLLECTION OF HOW THEY REALLY WERE ON FEBRUARY THE 1ST, ISN’T THAT RIGHT? MR. DUSEK: AND LEADING. HE CAN SAY HE SAW HIM. Q.: WHEN YOU FIRST SPOKE WITH THE POLICE DEPARTMENT AT DAD’S ON FEBRUARY 8TH, DID YOU KNOW DENISE’ NAME? A.: I WASN’T AT DAD’S ON FEBRUARY 8TH. Q.: WERE YOU CONTACTED BY POLICE DEPARTMENT ON FEBRUARY 8TH? A.: I’M NOT SURE WHAT DATE IT WAS. I WAS CONTACTED BY THE POLICE DEPARTMENT. Q.: FIRST TIME YOU WERE CONTACTED BY THE POLICE DEPARTMENT, DID YOU KNOW DENISE KEMAL’S NAME? A.: DID I KNOW IT? YES. I KNEW DENISE. I KNEW HER NAME. Q.: DIDN’T YOU HAVE TO CALL LAW ENFORCEMENT BACK AND SAY THAT YOU KNEW HER NAME TWO DAYS LATER? A.: I CALLED THEM BACK TO SAY THAT WHAT I HADN’T DISCUSSED WITH THEM IS SHE WAS MOVING TO BALTIMORE. THAT’S WHAT WE DISCUSSED ON THE 25TH WHEN WE WERE SITTING OUT IN THE ROOM. AND IT SAYS ABSOLUTELY NOTHING ABOUT NOT KNOWING HER NAME. Q.: DO YOU HAVE A COPY OF THE REPORT PREPARED BY A LIEUTENANT COLLINS IN FRONT OF YOU? A.: YES, I DO. AND MOST OF IT IS INCORRECT. Q.: WOULD YOU PULL IT OUT, PLEASE. A.: WOULD THAT BE THE INVESTIGATOR’S? DO YOU HAVE THE REPORT NOW FROM LIEUTENANT COLLINS? Q.: IT APPEARS TO BE HIS NAME DOWN AT THE BOTTOM OF THE REPORT, CORRECT? Q.: DOES IT INDICATE THAT HE MADE CONTACT WITH YOU ON FEBRUARY 8TH? MR. FELDMAN: IRRELEVANT AS TO WHAT THE REPORT INDICATES. THE WITNESS: NO. I’M GOING BY THE DATE ON THE BOTTOM IS MARCH 6TH. Q.: WHY DON’T YOU LOOK AT THE SECOND PARAGRAPH ON THE FIRST PAGE. A.: OKAY. ON FEBRUARY 8TH, YES. Q.: SO WHAT DAY WAS IT THAT HE CONTACTED YOU? Q.: IT’S NOT MARCH 6TH ON THE BOTTOM WHERE THE REPORT WAS TYPED, WAS IT? A.: I’M JUST LOOKING WHERE HE SIGNED IT, THAT’S ALL. Q.: I’M ASKING YOU WHEN DO YOU REMEMBER THE INTERVIEW BEING. MR. FELDMAN: ASKED AND ANSWERED. ARGUMENTATIVE. THE WITNESS: I DON’T — I CAN ONLY GO BY THE DATES ON HERE. MR. FELDMAN: I TAKE IT, YOUR HONOR, YOU OVERRULED MY OBJECTION. Q.: DID YOU CONTACT IN ANY MANNER LIEUTENANT COLLINS’ OFFICE TWO DAYS AFTER YOU SPOKE WITH HIM THAT FIRST TIME? Q.: AND ON THAT OCCASION DID YOU LEAVE HIM AN E-MAIL MESSAGE? Q.: DID YOU LEAVE HIM A VOICE MAIL MESSAGE? Q.: AND IN THAT VOICE MAIL MESSAGE DID YOU TELL HIM THAT YOU HAD HEARD ONE OF BRENDA VAN DAM’S GIRL FRIENDS WAS NAMED DENISE AND THAT SHE WAS A STEWARDESS? A.: I DIDN’T SAY I HEARD. I SAID SHE WAS MOVING TO BALTIMORE. I’M NOT IN AGREEANCE WITH WHAT IS IN THIS REPORT, SOME OF THE STATEMENTS. Q.: DID YOU GIVE THEM, LAW ENFORCEMENT, THE NAME DENISE WHEN YOU MADE THAT SECOND CALL? A.: I SAID DENISE WAS MOVING TO BALTIMORE. ALONG WITH JEFF, LIZ, AND RAINBOW. Q.: THAT COMMUNICATION THAT MR. DUSEK WAS JUST ASKING YOU ABOUT, THE POLICE CAME TO YOUR PLACE OF BUSINESS; THAT DIDN’T OCCUR AT DAD’S, DID IT? A.: NO, IT DID NOT. THE COURT: WHILE HE’S HERE, LET’S TAKE CARE OF IT. Q.: SIR, YOU MENTIONED ON CROSS-EXAMINATION WATCHING FOOTBALL GAMES AT DAD’S. Q.: AND YOU TALKED ABOUT FOOTBALL GAMES THAT WERE BOTH JANUARY THE 25TH AND FEBRUARY THE 1ST. Q.: YOU ALSO MENTIONED E.S.P.N. Q.: NOW, WAS THERE LIVE FOOTBALL GAMES BEING SHOWN ON THOSE DAYS? A.: NO. THEY WERE RERUNS BEFORE THE SUPER BOWL. THEY ONLY SHOW GREATEST SUPER SERIES, SO ON, SO ON, SO ON. Q.: SO WHAT YOU ARE TALKING ABOUT, THIRTY-MINUTE PROGRAM, E.S.P.N. SHOWS AT OR ABOUT THE TIME OF THE SUPER BOWL THAT RUNS EVERY THIRTY MINUTES, IS THAT RIGHT? Q.: SO THEY ARE PROFESSIONAL PRODUCTIONS AND CLIPS OF FOOTBALL GAMES, RIGHT? Q.: THOSE WERE SHOWN ON THE SCREENS AT DAD’S, WERE THEY, ON THOSE DATES? A.: YES. THEY HAVE A LOT OF T.V.’S AT DAD’S. Q.: SO WHEN YOU WERE TALKING ABOUT WATCHING FOOTBALL, IS THAT SOMETHING YOU HAD IN MIND, SIR? Q.: WHEN YOU WERE TALKING TO US ABOUT WATCHING FOOTBALL, IS THAT WHAT YOU WERE THINKING ABOUT? A.: YES. I WAS WATCHING FOOTBALL. FOOTBALL, A BUNCH OF GROWN MEN THROWING A BALL AROUND. THAT WAS FOOTBALL TO ME. THE COURT: THANK YOU FOR COMING IN. YOU ARE UNDER AN ADMONITION NOT TO DISCUSS YOUR TESTIMONY WITH ANYONE UNTIL THE MATTER IS CONCLUDED. ALL RIGHT. MR. FELDMAN: WE NEED A SECOND AT COUNSEL TABLE, YOUR HONOR. I’M SORRY. MR. FELDMAN: DETECTIVE MORRIS, YOUR HONOR. MR. FELDMAN: I DON’T REMEMBER WHETHER YOU HAD A CONCERN ABOUT CAMERAS. ALL RIGHT. THE MEDIA, BOTH STILL AND LIVE, ARE NOT TO FILM THE NEXT WITNESS. THE WITNESS: DETECTIVE DAVID L. MORRIS. M-O-R-R-I-S. I WOULD LIKE TO DIRECT YOUR ATTENTION TO APPROXIMATELY FEBRUARY 8TH, 2002. DID YOU HAVE OCCASION TO GO TO DAD’S BAR? Q.: NOW, I’M SORRY, I FORGOT. WHAT IS YOUR OCCUPATION? A.: I’M A POLICE DETECTIVE FOR THE SAN DIEGO POLICE DEPARTMENT. Q.: HOW LONG HAVE YOU BEEN SO EMPLOYED? Q.: IN CONNECTION WITH YOUR OFFICIAL DUTIES AS A SAN DIEGO POLICE DEPARTMENT DETECTIVE, SIR, DID YOU HAVE OCCASION ON FEBRUARY 8, 2002, TO GO TO DAD’S BAR? A.: YES. I WAS ASSIGNED TO GO THERE. Q.: AND SO IN YOUR OFFICIAL CAPACITY AS A DETECTIVE YOU WENT TO DAD’S BAR, IS THAT RIGHT? Q.: WHILE YOU WERE AT DAD’S BAR, SIR, DID YOU HAVE OCCASION TO CONTACT AN INDIVIDUAL BY THE NAME OF RYAN, I SPELL IT T-Y-R-O-L, BUT I THINK IT’S PRONOUNCED TYROL? Q.: DID YOU SPEAK WITH MR. TYROL CONCERNING HIS OBSERVATIONS OF THE PREVIOUS FRIDAY NIGHT, FEBRUARY 1, 2002? Q.: AND DID YOU TELL MR. TYROL THAT IT WAS IMPORTANT HE COMMUNICATE ACCURATELY INFORMATION TO YOU? Q.: AND YOU TOLD HIM WHAT IT WAS, WHAT YOUR PURPOSE WAS, IS THAT RIGHT? Q.: AND YOUR PURPOSE WAS PART OF THE — WAS TO ASSIST IN THE INVESTIGATION OF DANIELLE VAN DAM, IS THAT RIGHT? A.: YES. LOOK FOR POSSIBLE WITNESSES. Q.: DID MR. TYROL TELL YOU THAT A WOMAN KNOWN TO HIM AS BRENDA APPROACHED HIM AND HIS GIRLFRIEND CHEROKEE YOUNGS? Q.: DID HE TELL YOU THAT HE WAS APPROACHED BY THEM WITH THE HOPE OF ENTICING THEM TO GO TO BRENDA’S HOUSE AFTER THE BAR CLOSED? Q.: DID HE ALSO SAY THAT HE NOTICED BRENDA WAS INTOXICATED AND HAVING A GOOD TIME? Q.: AND DID HE SAY THAT SHE DANCED WITH SEVERAL MEN ON THE DANCE FLOOR? Q.: AND DID HE SAY THAT HE AND HIS GIRLFRIEND REFUSED BRENDA’S INVITATION? Q.: DID HE ALSO INDICATE HE DID NOT NOTICE IF DAVID WESTERFIELD WAS AT THE BAR THAT NIGHT? A.: THAT’S WHAT HE SAID, YES. Q.: AND DID HE FINALLY SAY THAT HIS RECOLLECTION OF WHAT HAPPENED BECAME A LITTLE FOGGY FURTHER INTO THE EVENING BECAUSE AS THE EVENING ADVANCED HE BECAME MORE INTOXICATED? Q.: WHERE DID YOU LOCATE THIS MAN? Q.: WHY DID YOU GO BACK TO THE BAR TO TRY TO FIND HIM? A.: I WAS ASSIGNED TO GO BACK THERE EXACTLY A WEEK LATER. IT WAS ON THE 8TH, WHICH WAS A FRIDAY NIGHT. Q.: SO YOU WERE HOPING TO FIND PEOPLE WHO HAD BEEN AT THE BAR THE WEEK BEFORE AT THE BAR AGAIN THE NEXT WEEK? Q.: AND WHAT TIME DID YOU GET THERE, SIR? A.: APPROXIMATELY 10:00 O’CLOCK. IN THE EVENING. Q.: DO YOU KNOW HOW LONG RYAN HAD BEEN DRINKING THE NIGHT THAT YOU WERE INTERVIEWING HIM? A.: I HAVE NO IDEA, NO. Q.: DID YOU ASK HIM? A.: I DIDN’T ASK HIM, NO. BUT HE DID APPEAR — HE APPEARED TO BE A LITTLE INTOXICATED. A.: HIS SPEECH SLURRED A LITTLE. Q.: DID YOU ASK HIM HOW MUCH HE HAD BEEN DRINKING THE NIGHT OR THE WEEK BEFORE? A.: HE SAID THAT HE WAS PRETTY WELL INTOXICATED. Q.: DID HE GIVE YOU ANY DETAILS OF HOW INTOXICATED HE WAS FROM THE WEEK BEFORE? A.: HE JUST SAID AS THE EVENING PROGRESSED HIS MEMORY WAS A LITTLE FOGGY BECAUSE HE HAD BECOME TOTALLY INTOXICATED. Q.: SO YOU WERE ASKING HIM ON THE 8TH WHEN YOU THOUGHT HE WAS SOMEWHAT INTOXICATED REGARDING WHAT HE REMEMBERED A WEEK BEFORE WHEN HE WAS INTOXICATED? Q.: YOUR QUESTIONING DIDN’T RELATE TO WHAT HE SAW ON THE 1ST WHEN HE WAS INTOXICATED, YOUR QUESTIONING WENT TO WHAT HE SAW ON THE 1ST WHEN HE WAS NOT INTOXICATED, CORRECT? THE COURT: OVERRULED. WE’LL GET RIGHT TO IT. Q.: THE POINT OF YOUR QUESTIONING OF MR. TYROL ON FEBRUARY THE 8TH WAS TO MAKE INQUIRY OF HIM CONCERNING WHAT HE SAW WHEN HE WAS NOT INTOXICATED ON FEBRUARY THE 1ST. A.: I WAS INTERESTED IN ANYTHING THAT HE HAD SAW. BUT HE DID TELL ME WHAT HE DID REMEMBER AT THAT TIME. Q.: DID YOU HAVE A REASON TO DISBELIEVE WHAT HE HAD TO SAY? THE ANSWER IS STRUCK. THE JURY IS TO DISREGARD. Q.: DID YOU NOTE IN YOUR REPORT AT ANY LOCATION THAT MR. TYROL WAS INTOXICATED WHEN YOU SPOKE WITH HIM ON THE 8TH, SIR? Q.: JUST IN TERMS OF YOUR CUSTOM AND PRACTICE, YOU PREPARE REPORTS, IS THAT RIGHT? Q.: YOU PREPARE REPORTS FOR THE PURPOSE OF REFRESHING YOUR RECOLLECTION IN THE EVENT YOU’RE CALLED UPON TO TESTIFY ABOUT THE SUBJECT MATTER SOME PERIOD OF TIME IN THE FUTURE. Q.: DO YOU PREPARE REPORTS TO ASSURE YOUR RECOLLECTION STAYS ACCURATE? IS THAT RIGHT? Q.: BECAUSE YOU’RE TRAINED YOUR MEMORY FADES WITH TIME, IS THAT CORRECT? Q.: YOU DON’T HAVE A REPORT, DO YOU, OF YOUR INTERVIEW — STRIKE THAT. YOU’RE ALSO TRAINED TO INCLUDE WITHIN YOUR REPORTS ALL DETAIL THAT MAY BE OF SIGNIFICANCE, IS THAT CORRECT? Q.: IT’S CORRECT, THEN, ISN’T IT, THAT WITH REGARD TO YOUR REPORT, SIR, OF YOUR INTERVIEW OF RYAN TYROL THERE’S NO MENTION OF HIM BEING INTOXICATED IN ANY MANNER ON FEBRUARY 8? A.: HE WASN’T — WELL, I COULD TELL HE HAD BEEN DRINKING, BUT HE WASN’T TOTALLY INTOXICATED WHEN I INTERVIEWED HIM. Q.: SO, IN OTHER WORDS, IT SEEMED TO YOU HE WAS SOBER. Q.: AND WHAT HE REALLY SAID WAS, AT LEAST YOU NOTED, DID YOU NOT, THAT MR. TYROL’S RECOLLECTION OF WHAT HAPPENED LATER IN THE EVENING BECAME, QUOTE, A LITTLE FOGGY, END QUOTE, IS THAT CORRECT? Q.: REFERRING TO THE 1ST. Q.: HE DIDN’T TELL YOU HE FORGOT, DID HE? Q.: HE DIDN’T TELL YOU HE WAS INACCURATE, CORRECT? Q.: WELL, LATE IN THE EVENING, THAT’S NOT WHAT YOUR REPORT SAYS, IS IT, WHAT MR. FELDMAN JUST QUOTED TO YOU? A.: WHAT DO YOU MEAN? HE SAID AS THE EVENING WENT ON HE GOT A LITTLE FOGGY AND HIS MEMORY WAS A LITTLE MESSED UP. Q.: DO YOU HAVE THE REPORT THERE IN FRONT OF YOU? Q.: IN YOUR REPORT DID YOU WRITE THAT IT WAS LATER IN THE EVENING AS MR. FELDMAN JUST QUOTED YOU OR DID YOU WRITE SOMETHING ELSE? A.: THE EXACT WORDS I USED WERE TYROL STATED, SAID HIS RECOLLECTION OF WHAT HAPPENED BECOMES A LITTLE FOGGY FURTHER INTO THE EVENING BECAUSE HE BECAME INTOXICATED. Q.: WHAT TIME DID HE SAY THE EVENTS OCCURRED THAT YOU WERE ASKING HIM ABOUT? A.: HE DIDN’T QUOTE WHAT TIME IN — HIS TIME FRAMES WEREN’T EXACTLY RIGHT ON. HE JUST SAID IT WAS IN THE EVENING. SO YOU DON’T KNOW AT WHAT STAGE OF HIS INTOXICATION HE WAS WHEN HE WAS RELATING THESE EVENTS. DETECTIVE, YOUR TIME WITH US IS DONE. PLEASE REMEMBER YOU’RE UNDER AN ADMONITION NOT TO DISCUSS THE MATTER UNLESS IT’S PURSUANT TO YOUR FORMAL DUTIES. MR. BOYCE: DETECTIVE JODY THRASHER. Q.: GOOD AFTERNOON, MA’AM. WHAT IS YOUR OCCUPATION? A.: I’M A POLICE OFFICER. Q.: WHO ARE YOU A POLICE OFFICER FOR? A.: FOR THE SAN DIEGO POLICE DEPARTMENT. Q.: AND WHAT IS YOUR CURRENT ASSIGNMENT? A.: I’M CURRENTLY ASSIGNED TO SPECIAL INVESTIGATIONS UNIT. Q.: WERE YOU SO ASSIGNED IN THE FIRST WEEK OR SO OF FEBRUARY, 2002? THE COURT: COUNSEL, IS THIS ANOTHER WITNESS THAT WE NEED TO BE CONCERNED ABOUT? MR. DUSEK: YES. SHE’S BEEN TRANSFERRED SINCE I LAST KNEW. 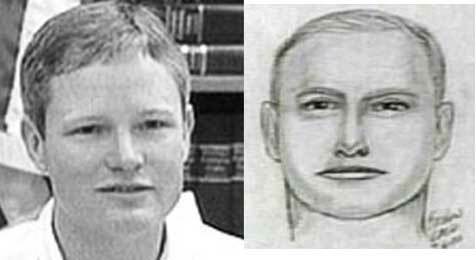 Q.: DID YOU BECOME INVOLVED IN THE INVESTIGATION OF THE DISAPPEARANCE OF DANIELLE VAN DAM IN THE FIRST WEEK OF FEBRUARY, 2002? Q.: AND AS PART OF THAT ASSIGNMENT, WERE YOU ASKED TO INTERVIEW SOME WITNESSES? Q.: ON FEBRUARY 11TH, 2002, DID YOU INTERVIEW A PERSON BY THE NAME OF DEBRA MARTINEZ? Q.: DID THAT INTERVIEW OCCUR IN PERSON OR OVER THE PHONE? Q.: YOU DID A REPORT OF THAT INTERVIEW. Q.: AND IS THAT PART OF YOUR TRAINING ON HOW TO DO REPORTS? Q.: YOU ATTEMPT TO BE ACCURATE IN YOUR REPORTS. Q.: AND IN DOING YOUR REPORT OF YOUR TELEPHONE INTERVIEW WITH MISS MARTINEZ, DID YOU ATTEMPT TO BE AS ACCURATE AS POSSIBLE? Q.: DID YOU INCLUDE ALL INFORMATION YOU FELT WAS IMPORTANT FROM THAT INTERVIEW IN YOUR REPORT? Q.: DID MISS MARTINEZ TELL YOU THAT SHE HAD BEEN CAMPING IN GLAMIS? Q.: AND WHEN DID SHE TELL YOU THIS CAMPING TRIP OCCURRED? MR. BOYCE: AS A FOUNDATION I WOULD LIKE TO ASK HER WHEN THE CAMPING TRIP OCCURRED BECAUSE THERE WAS A PRIOR INCONSISTENT STATEMENT OF THE WITNESS. THE COURT: ALL RIGHT. LET’S GET RIGHT TO IT. Q.: DID SHE TELL YOU SHE HAD BEEN CAMPING IN GLAMIS AT ABOUT 10:00 O’CLOCK A.M. ON SUNDAY, FEBRUARY 3RD, OF 2002? Q.: DID SHE TELL YOU WHAT TIME SHE LEFT GLAMIS? Q.: WHAT TIME DID SHE TELL YOU SHE LEFT GLAMIS? A.: SHE TOLD ME SHE LEFT ABOUT 3:45. Q.: DID SHE SAY SHE WENT TO RIVERSIDE FROM GLAMIS? A.: I THINK SHE MEANT RIVERSIDE COUNTY. Q.: WHEN SHE LEFT GLAMIS, DID SHE TELL YOU THAT SHE SAW AN R.V. THAT WAS FREED FROM THE SAND AND WAS LEAVING? Q.: AND THIS WAS THE R.V. THAT BELONGED TO A MR. WESTERFIELD? MR. BOYCE: THANK YOU, DETECTIVE. Q.: WHAT DID SHE TELL YOU SHE SAW ABOUT THIS R.V.? A.: SHE SAID THAT THEY FIRST SAW IT STUCK IN THE SAND AROUND 10:00 O’CLOCK IN THE MORNING ON SUNDAY. AND THEN THAT THEY SAW IT AGAIN LATER IN THE AFTERNOON STILL STUCK IN THE SAND. Q.: I’M CONCERNED WITH WHAT SHE SAID SHE SAW OR WHAT — DID YOU PIN HER DOWN AS TO WHAT SHE SAW OR WHAT HER FRIENDS WERE RELAYING TO HER? A.: YES. I TRIED TO PIN HER DOWN TO WHAT SHE ACTUALLY SAW VERSUS WHAT THE OTHERS WERE TELLING HER. DID SHE TALK ABOUT SEEING THE R.V. ITSELF WHEN IT WAS STUCK? Q.: IS THAT IN THE AFTERNOON? Q.: WHAT DID SHE DESCRIBE SHE SAW IN THE AFTERNOON? A.: THAT SHE AND THREE OTHER PEOPLE WERE RIDING, AND THIS R.V. WAS STILL STUCK, AND THAT A MAN IN A WHITE PICKUP TRUCK WAS TRYING TO HELP HIM FREE THE MOTOR HOME, AND THAT HER HUSBAND AND HER BROTHER-IN-LAW WENT AND TALKED TO THE MAN, AND THEN THEY WENT ON THEIR RIDE SAYING THAT HE DIDN’T WANT ANY ASSISTANCE. DID SHE — HOW LONG WOULD YOU SAY YOUR INTERVIEW WITH HER WAS? Q.: DID YOU TAPE IT? Q.: DO YOU RECALL HER MENTIONING ANYTHING AT ALL ABOUT GOING TO A DUMP OR A PLACE ON THE WAY OUT OF GLAMIS TO TAKE SOME OF HER TRASH, ANYTHING LIKE THAT? A.: I RECALL HER SAYING THAT SHE DUMPED TRASH AT A DUMPSTER. Q.: DO YOU RECALL HER SAYING SHE WANTED TO TIME IT FROM THE CAMPSITE TO THE DUMPSTER? A.: I DON’T RECALL THAT. THE COURT: NOW, IS THIS DETECTIVE TO BE SUBJECT TO RECALL AS WELL? DETECTIVE, YOU ARE FREE TO LEAVE THESE PROCEEDINGS. PLEASE KEEP IN MIND YOU’RE STILL UNDER AN ADMONITION NOT TO DISCUSS THE CASE EXCEPT AS IT MAY RELATE TO YOUR OFFICIAL DUTIES. MR. BOYCE: YOUR HONOR, I APOLOGIZE. WE MIGHT NEED HER FOR ANOTHER ISSUE. SUBJECT TO RECALL. SUBJECT TO RECALL. THANK YOU, DETECTIVE. MR. BOYCE: GLEN SEEBRUCH, YOUR HONOR. THE WITNESS: GLEN SEEBRUCH. G-L-E-N S-E-E-B-R-U-C-H.
A.: I’M AN ENGINEERING MANAGER AT NOKIA. A.: ABOUT A YEAR AND A HALF. Q.: HOW DO YOU KNOW MR. WESTERFIELD? Q.: AND WHAT WAS YOUR RELATIONSHIP WITH MR. WESTERFIELD THROUGH WORK? A.: I CONTRACTED HIM TO DO DESIGN WORK ON TEST FIXTURES. Q.: WOULD THAT BE FOR NOKIA? Q.: WHERE DO YOU LIVE? A.: I LIVE AT 15362 SKYRIDGE ROAD IN POWAY. Q.: IS THAT NEAR A PERSON BY THE NAME OF KEITH SHERMAN? Q.: HOW FAR ARE YOU FROM MR. SHERMAN? A.: ABOUT A THOUSAND FEET. Q.: ARE YOU FAMILIAR WITH A MOTOR HOME THAT IS PARKED ON MR. SHERMAN’S PROPERTY? Q.: AND HOW DID YOU BECOME FAMILIAR WITH THAT MOTOR HOME? A.: THROUGH TALKING TO DAVID I FOUND OUT THAT IT WAS HIS. Q.: WHEN YOU SAY DAVID, YOU MEAN DAVID WESTERFIELD? Q.: DO YOU RECOGNIZE HIM HERE IN THE COURTROOM? Q.: IS IT THE GENTLEMAN I’M — HAVE MY HAND ON HIS SHOULDER? Q.: HAVE YOU BEEN TO MR. WESTERFIELD’S HOUSE? Q.: WAS THAT THE TIME THAT YOU MET ONE OF MR. WESTERFIELD’S NEIGHBORS YOU ALSO WORK WITH? Q.: WAS THAT PAUL HUNG? Q.: HAVE YOU SEEN MR. WESTERFIELD PICKING UP OR AT HIS MOTOR HOME ON MR. SHERMAN’S PROPERTY? A.: YES. ON ONE OCCASION. Q.: WAS HE WITH ANYONE ON THAT OCCASION? A.: HE WAS WITH WHAT I ASSUMED TO BE HIS SON. Q.: WERE YOU INTRODUCED TO HIS SON OR HOW DID YOU KNOW IT WAS HIS SON? A.: NO. I DIDN’T KNOW IF IT WAS HIS SON. Q.: NOW, ON FEBRUARY 1ST DO YOU RECALL THAT DAY? Q.: DID YOU HAVE ANY COMMUNICATION WITH MR. WESTERFIELD? A.: YES. HE HAD CALLED ME AROUND 11:45 FROM THE LOBBY OF OUR BUILDING. Q.: AND WHAT WAS THE PURPOSE OF THE PHONE CALL? A.: HE HAD NOTIFIED ME THAT HE HAD DROPPED OFF SOME PARTS AND THEN HE WENT INTO SOME PERSONAL QUESTIONS. Q.: DID HE TELL YOU ABOUT ANY PLANS FOR THE WEEKEND? A.: YES. HE HAD TOLD ME HE HAD PLANNED TO GO TO THE DESERT A.T.V.ING. LADIES AND GENTLEMEN, THE PURPOSE OF THE COURT ALLOWING THE LAST QUESTION AND THE LAST ANSWER IS LIMITED. IT IS LIMITED TO SHOW AN INTENT OR A PLAN. IT IS NOT INTENDED FOR THE TRUTH OF THE STATEMENT. ALL RIGHT. SO IT’S A LIMITED PURPOSE. Q.: WHEN HE MENTIONED THAT TO YOU, DID HE SAY THAT HE COULD FIND ANYBODY TO GO WITH HIM, THOUGH? A.: RIGHT. HE SAID HE COULD NOT FIND ANYBODY TO GO WITH HIM. Q.: WAS HE INVITING YOU TO GO WITH HIM? A.: I WAS GUESSING THAT IT WAS IMPLIED, YES. Q.: DID YOU TELL HIM THAT YOU WOULD DO ANYTHING IN THAT REGARD? A.: NO. ACTUALLY I HAD SOMEBODY IN MY OFFICE, AND I HAD TO CUT THE CONVERSATION SHORT. Q.: DID YOU TELL MR. WESTERFIELD YOU WOULD CALL HIM BACK LATER? Q.: DID YOU CALL HIM BACK LATER? MR. BOYCE: THANK YOU, MR. SEEBRUCH. Q.: MR. SEEBRUCH, I THINK YOU TOLD US THAT YOU HAD BEEN TO THE DEFENDANT’S HOUSE ONE TIME. Q.: HOW LONG AGO WAS THAT? A.: I BELIEVE IT WAS IN THE BEGINNING OF JANUARY. Q.: WHEN YOU WENT TO HIS HOUSE, WAS THAT HIS HOUSE ON MOUNTAIN PASS ROAD? Q.: WAS HIS MOTOR HOME AT HIS HOUSE ON THAT DAY? Q.: AND DID YOU GO TO HIS HOUSE TO SEE SOMETHING SPECIFICALLY? A.: RIGHT. HE HAD INVITED ME SEVERAL TIMES TO SEE HIS OFFICE. Q.: WHEN YOU GOT THERE ON THAT DATE, DID HE TAKE YOU UP TO SHOW YOU THE OFFICE? A.: ACTUALLY, NO, HE DID NOT. Q.: DO YOU KNOW WHY NOT? Q.: YOU DO BUSINESS WITH MR. WESTERFIELD? Q.: DO YOU KNOW THE NAME OF HIS BUSINESS? Q.: HOW LONG HAS HE HAD THAT NAME? Q.: HOW LONG HAVE YOU BEEN DOING BUSINESS WITH HIM WHEN HE’S USED THAT NAME? A.: ME PERSONALLY ABOUT A YEAR AND A HALF. Q.: DID YOU SEE HIS SON OR ANYONE WHO COULD BE HIS SON AT THE HOUSE WHEN YOU WENT THERE ON THAT DATE? A.: NO. HE WAS GOING TO INTRODUCE ME TO HIS SON, BUT HIS SON WAS NOT HOME. Q.: AND YOU SAW SOMEONE WHO AT LEAST YOU ASSUMED WAS HIS SON WHEN THE DEFENDANT WAS PICKING UP HIS R.V. AT THE SHERMAN RESIDENCE, IS THAT RIGHT? Q.: DID IT APPEAR THAT THERE WAS THE DEFENDANT AND SOMEONE WHO COULD BE HIS SON, THE R.V., AND AN S.U.V.? Q.: AND AFTER THEY DID WHATEVER THEY DID, THE R.V. WAS GONE? A.: ON THAT OCCASION, NO. Q.: DO YOU KNOW IF THEY WERE TAKING OR BRINGING THE R.V. BACK? Q.: DID YOU SEE WHAT HAPPENED TO THE R.V. AFTER YOU SAW THE TWO MALES AT THE SHERMAN PROPERTY? Q.: ARE YOU ABLE TO ESTIMATE FOR US HOW LONG THE R.V. HAS BEEN STORED AT THE SHERMAN PROPERTY? A.: ROUGHLY I GUESS NOVEMBER, DECEMBER TIME FRAME. Q.: DO YOU HAVE TO DRIVE BY THE SHERMAN PROPERTY TO COME AND GO FROM YOUR PLACE? Q.: HOW OFTEN DO YOU DO THAT? A.: EVERY DAY. TO AND FROM WORK. Q.: ON THE 1ST OF FEBRUARY WHEN YOU HAD THE CONVERSATION WITH THE DEFENDANT, THAT WAS A FRIDAY I BELIEVE. A.: RIGHT. FRIDAY, FEBRUARY 1ST. Q.: WHEN YOU WENT HOME THAT NIGHT, WAS THE R.V. THERE? A.: BECAUSE WHEN I SAW IT, I REMEMBERED THAT I WAS SUPPOSED TO CALL HIM BACK, AND I HAD FORGOTTEN TO. Q.: ABOUT WHAT TIME DID YOU GO HOME THAT EVENING? Q.: AND DID YOU SEE THE R.V. THE NEXT MORNING, SATURDAY? Q.: WHAT TIME DID YOU FIRST GET A CHANCE TO GET UP AND TAKE A LOOK? A.: IT WAS AT 11:00 IN THE MORNING WHEN I LEFT. Q.: WHEN THE DEFENDANT SPOKE WITH YOU REGARDING WHAT WAS GOING ON OR THE COMMENTS THAT HE MADE TO YOU, HE SAID HE WANTED TO GO TO THE DESERT, IS THAT CORRECT? Q.: DID HE SAY THAT HE WANTED TO GO TO SILVER STRAND? A.: NO, HE DID NOT. Q.: DO YOU KNOW WHERE THE SILVER STRAND IS? Q.: DO YOU KNOW WHERE CORONADO OR I. B. IS? Q.: HE DID NOT MENTION ANYTHING ABOUT AN INTENT TO GO THERE, DID HE? Q.: AND HE TOLD YOU ON THAT CONVERSATION THAT THE FRIENDS THAT HE HAD CONTACTED WEREN’T GOING TO THE DESERT, RIGHT? A.: HE DID NOT MENTION ANYTHING ABOUT ANY FRIENDS OR ANYBODY ELSE. Q.: DID HE INDICATE THAT HE COULDN’T FIND ANY — NOT TO PUT YOU ON THE B LIST, BUT THAT HE COULDN’T FIND ANYBODY TO GO TO THE DESERT WITH HIM? Q.: DID HE TELL YOU HOW LONG HE HAD BEEN LOOKING TO TRY TO FIND SOMEONE TO MEET IN THE DESERT THAT WEEKEND? Q.: AND DID HE INDICATE TO YOU WHAT HE WANTED TO DO WHEN HE GOT TO THE DESERT? Q.: DO YOU KNOW IF HE HAS A.T.V.’S, QUADS, ALL-TERRAIN VEHICLES? A.: I HAD NEVER SEEN THEM, BUT HE HAD MENTIONED THAT HE HAD SOME. Q.: DID YOU EVER SEE ANOTHER TRAILER, ENCLOSED TRAILER, BY HIS R.V.? Q.: DID YOU EVER SEE WHAT WAS INSIDE THAT? Q.: HAVE YOU HAD A CHANCE TO SPEAK WITH LAW ENFORCEMENT REGARDING THIS CASE? Q.: AND DID YOU ALSO GET THE CHANCE TO SPEAK WITH THE DEFENSE? Q.: WAS THERE A TIME WHEN YOU GOT THE FEELING THAT WORDS WERE BEING PUT IN YOUR MOUTH? A.: WHEN I DID A TELEPHONE INTERVIEW WITH MARION PASAS. A.: I GUESS SHE’S A PARALEGAL FOR THE DEFENSE. Q.: WHAT MADE YOU SAY THAT YOU THINK WORDS WERE BEING PUT IN YOUR MOUTH? A.: SHE HAD ASKED ME ABOUT A CONVERSATION THAT I HAD ON FEBRUARY — I’M SORRY — IN THE BEGINNING OF JANUARY AT DAVID WESTERFIELD’S HOUSE. DID YOU TRY TO KEEP CORRECTING HER? MR. DUSEK: THANK YOU, SIR. NOTHING FURTHER. THE COURT: ALL RIGHT. ANY FURTHER DIRECT? Q.: WERE YOU — YOU MET WITH ME ON ONE OCCASION, DIDN’T YOU? Q.: AND YOU ARE SHOWN REPORTS BOTH GENERATED BY — THE REPORT GENERATED BY A DETECTIVE STETSON. Q.: DO YOU RECALL THAT? Q.: AND YOU WERE ALSO SHOWN A REPORT GENERATED BY MISS PASAS, WEREN’T YOU? Q.: AND YOU WERE ASKED IF ANY — THERE WERE ANY CORRECTIONS OR ANY INACCURACIES IN THOSE REPORTS, WEREN’T YOU? Q.: AND DID YOU NOTE ANY INACCURACIES IN MISS PASAS’ REPORT? Q.: AND WHAT INACCURACIES DID YOU NOTE? A.: MY FIRST NAME WAS SPELLED WRONG. MY LAST NAME WAS SPELLED WRONG. THE DATE OF THE REPORT WAS INCORRECT. THE WORK PHONE NUMBER WAS INCORRECT. Q.: AND HOW ABOUT IN THE POLICE REPORT; DID YOU NOTE ANY INACCURACIES? A.: IN A SIMILAR FASHION. FIRST NAME AND LAST NAME WERE MISSPELLED. Q.: AND THEY WERE THE SAME MISSPELLINGS IN BOTH REPORTS, WEREN’T THEY? Q.: AND THE SAME INCORRECT PHONE NUMBERS? Q.: BUT AS FAR AS THE SUBSTANCE OF THE REPORT, WAS MISS PASAS’ REPORT CORRECT? A.: YES. AS FAR AS WHAT WAS LISTED. MR. BOYCE: THANK YOU. I HAVE NOTHING FURTHER. THE COURT: ALL RIGHT. IS THIS WITNESS TO BE EXCUSED, COUNSEL? THE COURT: ALL RIGHT. SIR, YOUR TIME WITH US IS DONE. PLEASE REMEMBER YOU’RE UNDER AN ADMONITION NOT TO DISCUSS YOUR TESTIMONY WITH ANYONE UNTIL THE MATTER IS CONCLUDED. OKAY. MR. BOYCE: DONNA BOE, YOUR HONOR. THE WITNESS: IT’S DONNA BOE. D-O-N-N-A B-O-E.
A.: I’M OPERATIONS ASSISTANT AT UNION BANK OF CALIFORNIA. Q.: DID YOU — IN 1998 DID YOU WORK AT THE POWAY BRANCH OF THE UNION BANK? Q.: DID YOU GET TO KNOW A PERSON BY THE NAME OF DAVID WESTERFIELD? Q.: DID YOU HAVE A SOCIAL RELATIONSHIP WITH MR. WESTERFIELD? Q.: GO TO LUNCH WITH HIM ON OCCASION? Q.: DID YOU LEARN THAT HE HAD — DID HIS BANKING AT UNION BANK? Q.: THE SAME BRANCH THAT YOU WORKED AT? Q.: DID HE HAVE AN ACCOUNT AT THAT BANK? Q.: AND IF YOU GO TO THE A.T.M. AT YOUR BANK, WHAT DENOMINATION OF BILLS WILL YOU GET FROM THE A.T.M.? Q.: CAN YOU GET A FIFTY THROUGH THE A.T.M.? MR. BOYCE: THANK YOU, MISS BOE. MR. DUSEK: NOTHING. THANK YOU. MISS BOE, THANK YOU VERY MUCH. IT WAS QUICK, BUT THANK YOU. AND PLEASE REMEMBER YOU’RE UNDER AN ADMONITION NOT TO DISCUSS YOUR TESTIMONY UNTIL THE MATTER IS CONCLUDED. OKAY. THE COURT: DID YOU GET THE NAME, MIKE? THE WITNESS: DAVE. LAST NAME LASPISA. L-A-S-P-I-S-A. Q.: PRIOR TO COMING TO COURT TODAY DID YOU HAVE OCCASION TO REVIEW ANY DOCUMENTS? A.: OH, YEAH. MY POLICE REPORT AND THE DOCUMENT FROM MARION PAPPAS. Q.: SIR, I WILL GET TO THAT IN JUST A MOMENT. CAN YOU TELL US, SIR, WHAT IS YOUR OCCUPATION? Q.: AND DO YOU LIVE IN POWAY? Q.: DO YOU KNOW DAVID WESTERFIELD? Q.: HAVE YOU HAD OCCASION TO GO WITH MR. WESTERFIELD TO THE DESERT? A.: QUITE A FEW TIMES. Q.: WHERE IN THE DESERT WOULD YOU GO? Q.: IS THERE ANY PARTICULAR AREA IN GLAMIS THAT YOU MIGHT GO? A.: WHEN YOU SAY PARTICULAR, WHAT DO YOU MEAN? Q.: WELL, WE’VE HEARD TESTIMONY IN THE COURT THAT THERE’S A NUMBER OF DIFFERENT WASHES. THERE’S A SERIES OF WASHES. I DON’T KNOW WHETHER IT’S SPECIFIC OR THERE’S A TOWN THERE, BUT IS THERE A PARTICULAR WASH THAT YOU MIGHT GO TO? A.: WELL, YEAH. THROUGH THE HISTORY, YES. I MEAN I HAVE BEEN GOING TO THE DESERT FOR ABOUT TEN YEARS. A.: AND I WOULD SAY MR. WESTERFIELD HAS BEEN GOING FOR ABOUT EIGHT, MAYBE NINE. Q.: WERE THERE OCCASIONS WHEN YOU GO TO THE DESERT I GUESS PREARRANGED WITH YOUR FAMILY AND MR. WESTERFIELD’S FAMILY? Q.: AND THAT’S BEEN FOR ABOUT TEN YEARS? A.: THAT’S WHAT WE REFER TO THEM. Q.: TIMES WHEN MR. WESTERFIELD AND HIS FAMILY WOULD NOT TAKE TOYS? A.: WELL, BECAUSE A LOT OF TIMES SOME OF US ARE OUT THERE FOR FOUR DAYS, SOME OF US ARE OUT THERE FOR THREE DAYS, SOME OF US ARE OUT THERE FOR TWO DAYS, AND IT DOESN’T MAKE A LOT OF SENSE TO DRAG TOYS ALL THAT WAY IF YOU REALLY DON’T NEED THEM. WE ALL HAD SUFFICIENT TOYS. AND IF DAVE WOULD COME OUT, HE COULD RIDE IN MY SAND RAIL OR WHATEVER YOU WANT TO CALL IT. WERE THERE OCCASIONS WHEN MR. WESTERFIELD WOULD SHOW UP IN THE DESERT AND MEET YOU WHEN YOU HADN’T EVEN DISCUSSED THE MEETINGS? Q.: SO IT WOULDN’T BE UNUSUAL FOR MR. WESTERFIELD TO GO OUT TO THE DESERT TO LOOK FOR YOU EVEN THOUGH YOU HADN’T PREARRANGED TO MEET? MR. DUSEK: OBJECTION. SPECULATION. NO FOUNDATION. WHEN? Q.: IN YOUR PREVIOUS EXPERIENCE WITH MR. WESTERFIELD, THERE WERE OCCASIONS, WERE THERE OCCASIONS WHEN YOU WOULD GO TO THE DESERT WITHOUT MR. WESTERFIELD? MR. DUSEK: OBJECTION. VAGUE AS TO WHEN THE PREVIOUS EXPERIENCE WAS. THE COURT: TRY AND PUT IT IN A TIME FRAME, COUNSEL. Q.: YOU HAVE TOLD US FOR TEN YEARS YOU HAVE BEEN GOING. LET ME DIRECT YOUR ATTENTION TO LET’S SAY THE PAST YEAR OR TWO YEARS. Q.: WERE THERE OCCASIONS WITHIN THE PAST COUPLE OF YEARS THAT YOU WOULD GO TO THE DESERT WITHOUT SPEAKING TO MR. WESTERFIELD? Q.: WERE THERE OCCASIONS WHEN YOU WOULD GO TO THE DESERT WITHIN THE PAST COUPLE YEARS THAT YOU WOULD GO TO THE DESERT AND MR. WESTERFIELD WOULD COME OUT UNANNOUNCED? A.: IT DIDN’T HAPPEN WHEN I WAS OUT THERE, BUT, YES, IT DID HAPPEN. MR. DUSEK: OBJECTION. HEARSAY. ASK THAT IT BE STRICKEN. THE COURT: THE JURY IS TO DISREGARD THE LAST ANSWER. SUSTAINED. Q.: HOW DO YOU KNOW THAT IT HAPPENED? Q.: HOW ABOUT IF I EXTEND IT BACK TO BEYOND A COUPLE YEARS. WERE THERE TIMES PRIOR TO A COUPLE OF YEARS WHERE YOU WOULD GO OUT TO THE DESERT AND MR. WESTERFIELD WOULD SHOW UP? Q.: AND YOU KNOW THAT OF YOUR OWN KNOWLEDGE? Q.: AND HE WOULD SHOW UP UNANNOUNCED WITHOUT HIS TOYS? A.: ON ONE OCCASION WITH ME, YES. WOULD HE BRING — GENERALLY WOULD HE GO BY HIMSELF, WOULD HE HAVE SOMEBODY WITH HIM; HOW WOULD THAT BE? A.: MOST PART HE WOULD USUALLY HAVE PEOPLE WITH HIM. Q.: YOU SAY FOR THE MOST PART USUALLY. DOES THAT SUGGEST — I’M JUST ASKING — THAT THERE WERE TIMES WHEN HE MIGHT COME OUT WITHOUT COMPANY? Q.: SO YOU WOULD SEE HIM? A.: HE CAME OUT ALONE. A.: HE DID COME OUT ALONE, YES. Q.: HOW FREQUENTLY DID THAT OCCUR? A.: TOP OF MY HEAD, MAYBE TWO OR THREE TIMES THAT I REMEMBER. A.: THE LAST ONE WAS APRIL, 2001. Q.: WAS THERE A PARTICULAR AREA OF GLAMIS THAT YOU MIGHT, WHEN YOU WOULD SOCIALIZE WITH MR. WESTERFIELD, TO GO? AND NOW I’M TRYING TO ADDRESS PARTICULAR WASHES, IF THEY EXIST. A.: YEAH. I UNDERSTAND WHERE YOU’RE GOING. IT’S — THE FIRST FEW YEARS WE WENT WE WOULD GO IN WASH — WHAT THEY CALL WASH THREE. OKAY? A.: AFTER THAT WE PROGRESSED FROM WASH THREE TO WASH SIX. NORMAL THINKING IS THERE’S A LOT MORE PEOPLE GOING OUT THERE, IT’S GETTING CROWDED, WANT TO GET AWAY FROM THE CROWDS. WELL, WE WENT FROM SIX TO TEN. AND THE LAST TIME I HAD BEEN OUT THERE WE WERE IN ELEVEN AND TWELVE. SIR, YOU WERE PROVIDED WITH A REPORT FROM MISS PASAS WHICH INDICATED APPARENTLY THAT ONE OF THE WASHES WAS WASH FOURTEEN. DID YOU CALL IT TO OUR ATTENTION THERE MIGHT HAVE BEEN A TYPO. IN THE REPORT? Q.: AND WHAT WAS THE TYPO.? A.: IT SAYS THAT EVENTUALLY ALL THE WAY OUT TO WASH FOURTEEN. WELL, MYSELF IN PARTICULAR, I ONLY CAMPED IN WASH ELEVEN, WASH TWELVE, NEVER GOT TO FOURTEEN. A.: BUT YOU REALLY HAVE TO UNDERSTAND THE WASH SYSTEM TO UNDERSTAND WHAT THIS IS ABOUT. Q.: SO PLEASE EXPLAIN WHAT YOU MEAN TO COMMUNICATE BY THAT. A.: WELL, THE WASH SYSTEM IS SET UP WITH NUMBERS ONE THROUGH THIRTY OR WHATEVER. IT GOES OUT THERE, AND IT GOES OUT THERE A LONG WAYS. BUT THE WASHES ARE ONLY AREAS MAYBE A HUNDRED YARDS LONG. WHEN YOU GET OUT TO THE SECTION OFF TO THE RIGHT WHEN YOU COME OFF THE WASH, IT’S JUST ALL DESERT. THAT’S WHAT IT IS. SO IT WOULD BE NOT UNCOMMON TO TURN IN AT WASH NINE AND END UP IN WASH ELEVEN. THAT IS NOT UNUSUAL. THAT CAN HAPPEN EASILY. Q.: DID YOUR FAMILIES HAVE ANY FORM OF TRADITION TO GO OUT ON SUPER BOWL WEEKEND TO THE DESERT? Q.: WHY WOULD YOU PICK SUPER BOWL WEEKEND? A.: MOST PEOPLE ARE WATCHING THE SUPER BOWL. WOULDN’T WANT TO BE OUT THERE. Q.: SO IT WOULD BE LESS CROWDED? Q.: HAVE A BETTER SELECTION OF CAMPING PLACES? Q.: AND LESS PEOPLE TO BUMP INTO I SUPPOSE. Q.: AND REDUCTIONS IN TRAFFIC? Q.: HAS THERE BEEN TIMES WHEN YOU’VE OBSERVED MR. WESTERFIELD TO HAVE GONE TO THE DESERT IN A MOTOR HOME AND GET STUCK? A.: I THINK I’VE BEEN STUCK WITH HIM AT LEAST THREE TIMES. Q.: I’M SORRY. YOU JUST SAID YOU’VE BEEN STUCK WITH HIM. A.: AT THE SAME TIME, YES. Q.: YOU GET STUCK, TOO? Q.: WELL, SIR, HOW IS IT YOU GET STUCK IN A MOTOR HOME? A.: IT’S PRETTY SIMPLE. IF YOU’VE EVER DRIVEN ONE, YOU UNDERSTAND IN THE DESERT WHAT CAN HAPPEN. I’VE BEEN DOING IT FOR TEN YEARS, AND I’VE BEEN STUCK AT LEAST HALF A DOZEN TIMES. Q.: WHAT DO YOU DO WHEN YOU GET STUCK? A.: DIG YOUR WAY OUT. Q.: WHAT HAPPENS IF YOU CAN’T DIG OUT? A.: YOU LOOK FOR SOMEONE TO HELP. Q.: SO YOU CALL SOMEBODY UP TO WHAT, PULL YOU OUT? A.: HOPEFULLY YOU — MOST TIMES YOU CAN FLAG SOMEBODY DOWN. SOMEBODY OUT THERE HAS A FOUR BY. AND THEY JUST PULL YOU OUT. Q.: YOU JUST SAID SOMEBODY OUT THERE HAS A FOUR BY. WHAT DOES THAT MEAN? A.: A FOUR-BY-FOUR TRUCK, YOU KNOW, SOMETHING WITH LOW GEARING. AND IT CAN JUST HOOK ON TO YOUR MOTOR HOME; IT DOESN’T PULL YOU OUT BY YOURSELF; YOU HAVE TO DIG AWAY ALL THE SAND FROM THE TIRES AND THEN GET SOME MOMENTUM GOING. AND ONCE YOU GET THE MOMENTUM GOING, YOU CAN MOVE. BUT YOU GOT TO KEEP GOING. IF YOU STOP AGAIN AND YOU WILL BE STUCK. Q.: IS IT THE CASE THAT YOU BECAME AWARE AT SOME POINT IN TIME THAT MR. WESTERFIELD GOT DIVORCED, IS THAT RIGHT? Q.: AND IT WAS AFTER HE BECAME DIVORCED THAT YOU SAW THAT IT WAS THAT HE CAME OUT TO THE DESERT ALONE. DO I HAVE AT LEAST THAT TIMING CORRECT? Q.: WITH REGARD TO SITTING IN THE SUN, DO PEOPLE JUST GO OUT TO THE DESERT AND JUST SIT, LAY OUT IN THE SUN? A.: IN OUR GROUP, NO. Q.: HOW’S THE T.V. RECEPTION OUT THERE? Q.: HOW ABOUT THE PHONE RECEPTION? A.: IT’S NOT VERY GOOD. IT WORKS IN OCCASIONAL PLACES. Q.: WERE THERE OCCASIONS WITH WHICH YOU BECAME FAMILIAR WHERE MR. WESTERFIELD WOULD GO OUT TO THE DESERT LOOKING FOR YOU AND PERHAPS NOT BE ABLE TO FIND YOU? MR. DUSEK: OBJECTION. HEARSAY. NO FOUNDATION. Q.: HAVE YOU — WERE THERE OCCASIONS IN THE PAST WHERE YOU HAD MADE PLANS TO SEE MR. WESTERFIELD AND WHERE FOR SOME REASON THE PLANS DIDN’T WORK OUT AND YOU DIDN’T SEE HIM? Q.: DO YOU KNOW THE REASONS WHY? THE COURT: THE ANSWER WAS NO. Q.: SIR, DOES IT GET COLD IN THE DESERT? Q.: DOES MR. WESTERFIELD, DOES HE GENERALLY WEAR LONG SLEEVES OR SHORT SLEEVES IN THE DESERT? Q.: DOES HE HAVE SOMETHING — DOES HE SWEAT A LOT? A.: YES. IF YOU ASK ME, YES. Q.: AND FROM WHERE DOES HE SWEAT A LOT? A.: USUALLY UNDER HIS ARMS. Q.: SO IF YOU WERE TO SEE HIM WITH WE’LL SAY SWEAT RINGS UNDER HIS ARMPITS, WOULD THAT STRIKE YOU AS UNUSUAL? Q.: DO YOU THINK — WOULD IT BE UNUSUAL FOR MR. WESTERFIELD, IF YOU HAVE KNOWLEDGE, TO GO TO THE STRAND AND THEN TO THE DESERT? Q.: HAVE THERE BEEN OCCASIONS WHEN YOU’VE BEEN TO THE STRAND WITH MR. WESTERFIELD? Q.: WITH REGARD TO THE ROUTE, — SIR, YOU LIVE IN THE POWAY AREA, IS THAT RIGHT? Q.: SIR, I WOULD LIKE TO SHOW YOU WHAT’S BEEN PREVIOUSLY MARKED — I WILL GET THIS UP. IT WILL JUST TAKE A SECOND. Q.: SIR, I WOULD LIKE TO DIRECT YOUR ATTENTION TO WHAT’S BEEN PREVIOUSLY MARKED EXHIBIT 41. EXHIBIT 41 IS APPARENTLY A MAP. WOULD YOU AGREE? Q.: SIR, CAN YOU SEE WHERE POWAY IS ON THIS MAP? A.: I CAN POINT IT OUT. MR. FELDMAN: FOR THE RECORD, YOUR HONOR, THE WITNESS HAS JUST POINTED ON THE MAP TO THE WORD POWAY, AND IT’S IN COURT EXHIBIT 41. — YOU LIVE IN POWAY, RIGHT? Q.: — HOW WOULD YOU GET THERE? A.: I WOULD GO OUT THROUGH POWAY. IF YOU COULD TAKE THE POINTER OR JUST WHAT I WOULD LIKE YOU TO BE ABLE TO DO IS ILLUSTRATE IT FOR THE JURY, AND THEN I WILL HAVE YOU MARK IT. A.: I CAN SEE THAT NOW. GO OUT THROUGH POWAY. UP ROUTE 67, WHICH TAKES YOU THROUGH RAMONA, THEN YOU GO THROUGH THIS WAY TO SANTA YSABEL. ALL RIGHT. YOU GO AROUND JULIAN AND GO ON OUT THIS WAY THROUGH OCOTILLO WELLS. THIS IS GOING AROUND JULIAN. A.: 78. OUT POWAY, UP 67 TO 78. AROUND JULIAN, THROUGH THIS WAY, PAST OCOTILLO WELLS. THE COURT: ALL RIGHT. NOW YOU’RE HAVING THE PROBLEMS. OKAY. SIR, WE CAN ONLY HAVE ONE PERSON TALKING AT A TIME. THE COURT: SO MR. FELDMAN IS GOING TO ASK YOU A COMPLETE QUESTION. HE’S NOT GOING TO INTERRUPT YOU. AND THEN YOU DON’T INTERRUPT HIM. OKAY? THE WITNESS: GO AHEAD. ASK YOUR QUESTION. Q.: I JUST WANT YOU TO BE ABLE TO — I DON’T WANT TO INTERRUPT YOU. BUT WHAT I’M TRYING TO GET YOU TO DO, WHEN YOU USE WORDS LIKE HERE AND THERE, WE HAVE A RECORD AND A COURT REPORTER. I’M JUST ASKING YOU BE ABLE TO ARTICULATE THE HIGHWAYS IF YOU CAN, SIR. Q.: SO WHEN LAST I UNDERSTOOD WHERE WE WERE AT, WE WERE SOMEWHERE AT I THOUGHT YOU HAD TOLD ME 78 IF I UNDERSTOOD CORRECTLY. Q.: COULD YOU PLEASE TELL US, THEN, WHERE DO WE GO? A.: WE GO THROUGH OCOTILLO WELLS ALL THE WAY DOWN HERE TO WHERE IT ENDS. Q.: YOU JUST SAID — WHAT ARE YOU COMMUNICATING? A.: SALTON SEA IS RIGHT HERE. 78 ENDS HERE. IT DOESN’T DEPICT IN THE PICTURE. BUT YOU ACTUALLY MAKE A RIGHT TURN HERE. THIS DOESN’T LOOK LIKE THE SAME ROAD, EVEN THOUGH IT’S CALLED THE SAME ROUTE. YOU COME DOWN 78 THROUGH WESTMORLAND, OKAY, AND YOU ARE GOING TO DROP ON DOWN HERE, JUST FOLLOW IT ALL THE WAY THROUGH OUT TO GLAMIS. I WONDER IF WE COULD FIND A PEN. I WANT IT TO BE A DIFFERENT COLOR. AN ORANGE PEN. SEE IF IT WORKS. IT DOES. Q.: SIR, IF YOU COULD PLEASE USE THE PEN AND JUST ILLUSTRATE FOR THE JURY AS BEST YOU CAN THE ROUTE YOU JUST DESCRIBED, PLEASE. FOR THE RECORD NOW, YOU’VE DRAWN A LINE USING THE ORANGE MARKER WHICH DEPICTS THE AREA OF POWAY ALL THE WAY OUT TO GLAMIS. IS THAT RIGHT? Q.: SIR, ABOUT HOW LONG DOES IT TAKE — YOU CAN HAVE A SEAT. ABOUT HOW LONG DOES IT TAKE YOU TO GET TO GLAMIS? A.: PROBABLY ABOUT THREE AND A HALF, FOUR HOURS. Q.: ON THE MAP DID YOU MEAN TO COMMUNICATE THAT YOU WENT THROUGH JULIAN OR THAT YOU WENT AROUND JULIAN? WITH REGARD TO THE TRIP BACK, HAVE YOU EVER DRIVEN HIGHWAY 8? A.: YES. EARLY IN MY DAYS OF THE DESERT, YES. Q.: YOU JUST SAID EARLY IN YOUR DAYS IN THE DESERT, SIR. DID YOU LEARN SOMETHING ABOUT HIGHWAY 8 THAT CAUSES YOU NOT TO TAKE IT ANY MORE? A.: IT’S NOT A GOOD TRAVEL ROUTE FOR MOTOR HOMES WITH BIG TRAILERS. A.: WELL, MYSELF, I PULL SIXTY FEET WITH A MOTOR HOME AND A TRAILER. THERE’S A LOT OF HIGH WINDS, A LOT OF HIGH ROAD, AND THERE’S A THING THEY CALL BLACK ICE OUT THERE. A.: JUST WATER THAT FORMULATES IN ICE THAT YOU CAN’T SEE. IN PARTICULAR AT NIGHTTIME. Q.: WHAT HAPPENS IF YOU HIT BLACK ICE? A.: EVERYTHING GOES GOOFY. TRAILER SLIDES, MOTOR HOME SLIDES. I HAD IT HAPPEN ONCE. I WOULD NEVER GO THAT WAY AGAIN. Q.: YOU LOSE CONTROL OF YOUR VEHICLE? Q.: PUTS YOUR LIFE AT RISK? MR. FELDMAN: YOUR HONOR, COULD I HAVE A MOMENT, PLEASE? I’M SORRY. MR. FELDMAN: I HAVE A SMALLER MAP I GUESS I WOULD ASK TO HAVE MARKED AS AN EXHIBIT. IT’S JUST SOMETHING I DOWNLOADED. THE COURT: DO YOU WANT IT MARKED? MR. FELDMAN: I THINK FOR THE RECORD I PROBABLY NEED TO BECAUSE I’M GOING TO SHOW IT TO THE WITNESS. THE COURT: IT WILL BE 160 FOR IDENTIFICATION. Q.: ON 41 AND NOW ON 160, FIRST OF ALL, WITH REGARD TO 160, DOES THAT APPEAR TO JUST BE A SIMILAR MAP AS THE MAP DEPICTED IN 41? Q.: IN 160 IT APPEARS AS THOUGH THERE’S A WAY TO GO AROUND JULIAN THAT I CAN’T SEE ON 41. I THOUGHT YOU TOLD US ON DIRECT THAT YOU GO AROUND JULIAN. A.: I BELIEVE IT’S AT THE SANTA YSABEL CROSSING. I SEE ON 41 THE WORD SANTA YSABEL. Q.: WHAT DO YOU MEAN TO COMMUNICATE? A.: THAT, WELL, AT SANTA YSABEL THERE’S TWO CHOICES YOU CAN MAKE. YOU CAN EITHER GO LEFT WHICH TAKES YOU AROUND JULIAN OR YOU GO OVER JULIAN. ALL RIGHT? SO THOSE ARE THE TWO CHOICES YOU HAVE. Q.: WHAT DOES IT MEAN TO GO OVER JULIAN? A.: THAT MEANS YOU ARE GOING TO GO UP IN JULIAN UP THE MOUNTAIN. Q.: IN OTHER WORDS, GO THROUGH JULIAN? Q.: SO WHAT YOU’RE TELLING US IS THAT’S NOT THE WAY YOU GO. Q.: THE WAY YOU GO IS OVER JULIAN, IS THAT RIGHT? A.: — THAN IT IS ON THAT MAP. Q.: SO WHAT WE’VE GOT IS A SLIGHT DISCREPANCY I’LL SAY IN THE MAP BETWEEN 41 AND THE MAP I GAVE YOU. IS THAT RIGHT? Q.: AND WITH REGARD TO 41, THEN, 41 DOESN’T REALLY SHOW US OR AT LEAST YOU CAN’T SEE BECAUSE MAYBE BECAUSE WE’VE GOT THESE THINGS ON IT THE PART OF THE ROAD THAT YOU HAVE TO TAKE TO GO OVER AS OPPOSED TO THROUGH JULIAN. IS THAT RIGHT? MR. FELDMAN: YOUR HONOR, IS THIS AN APPROPRIATE TIME FOR A RECESS? I KNOW IT’S A LITTLE BIT EARLY. THE COURT: IT IS IF YOU LIKE IT. LADIES AND GENTLEMEN, WE ARE GOING TO GO AHEAD AND TAKE THE AFTERNOON BREAK. LISTEN, I WANT TO BRING TO YOUR ATTENTION A POTENTIAL. WE KNOW THAT DUE TO THE MEDICAL APPOINTMENT OF ONE OF YOU FOLKS WE’RE NOT GOING TO BE IN SESSION ON THURSDAY AFTERNOON, AND THAT INDIVIDUAL HAS TO LEAVE BY 11:00 O’CLOCK IN ORDER TO MAKE THE APPOINTMENT. SO THE COURT, THE LAWYERS, AND I ARE DISCUSSING WHETHER OR NOT TO BRING YOU IN FOR TWO HOURS OF TESTIMONY OR NOT. WE HAVEN’T DECIDED THAT YET. BUT I WANT TO GIVE YOU A HEADS UP, ESPECIALLY THOSE OF YOU THAT NEED TO GIVE YOUR EMPLOYERS SOME NOTICE THAT WE MAY NOT BE IN SESSION ON THURSDAY. JUST KIND OF A HEADS UP. AND AS SOON AS WE KNOW FOR SURE, WE’LL LET YOU KNOW SO YOU CAN LET YOUR EMPLOYERS KNOW. PLEASE REMEMBER THE ADMONITION OF THE COURT NOT TO DISCUSS ANY OF THE EVIDENCE OR TESTIMONY AMONG YOURSELVES OR WITH ANY OTHER PERSONS NOR FORM OR EXPRESS ANY OPINIONS ON THE CASE UNTIL IT IS SUBMITTED TO YOU FOR DECISION.